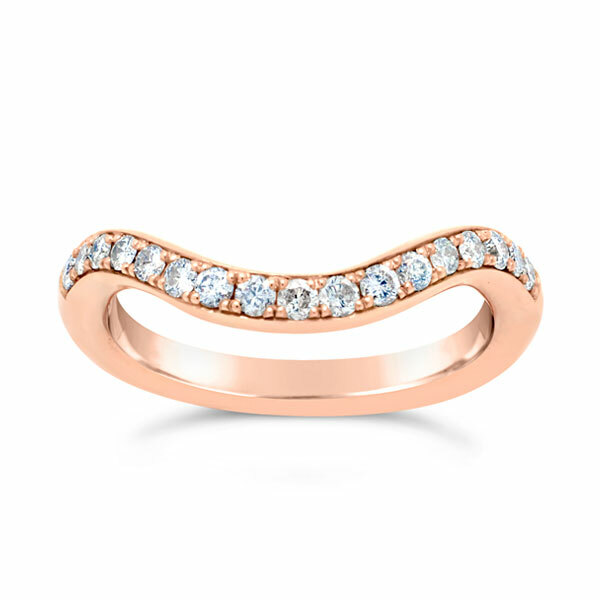 In the past few years we have seen the resurgence in the popularity of yellow gold and now the latest jewellery trends are all showing signs of rose gold being the big hit in 2018. 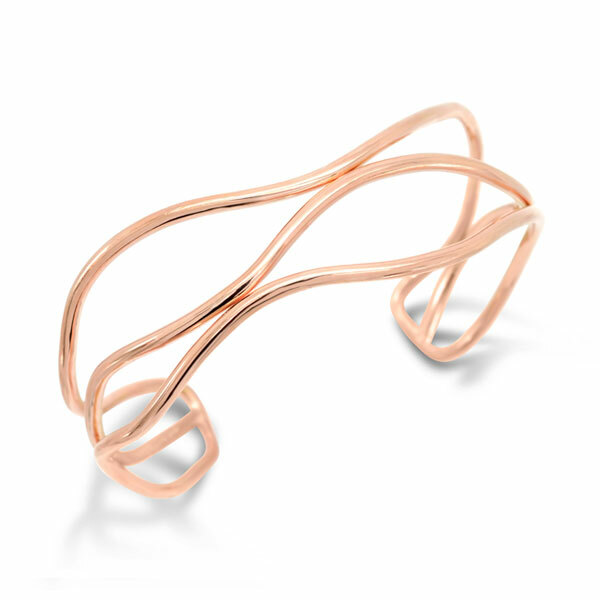 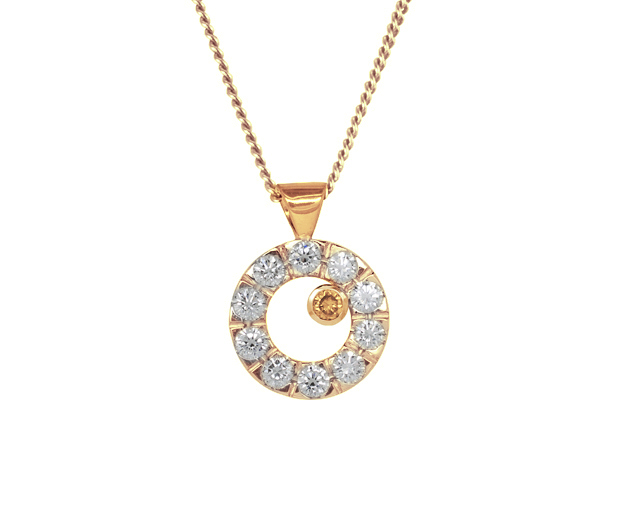 The 9ct rose gold is a coppery red and the 18ct rose gold a softer rose colour. 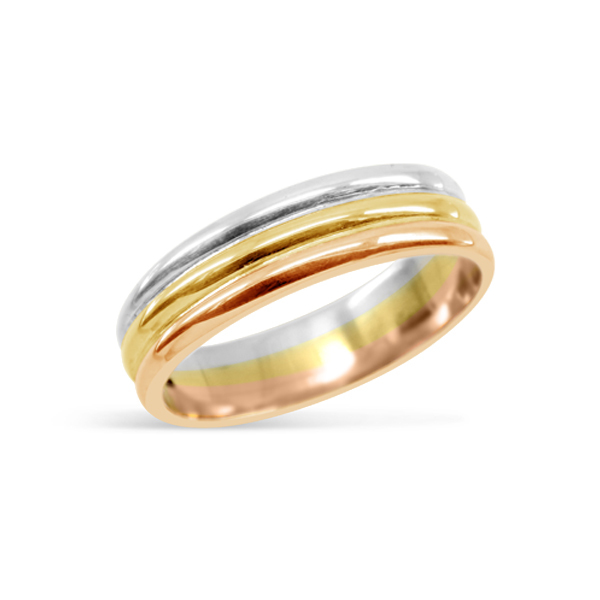 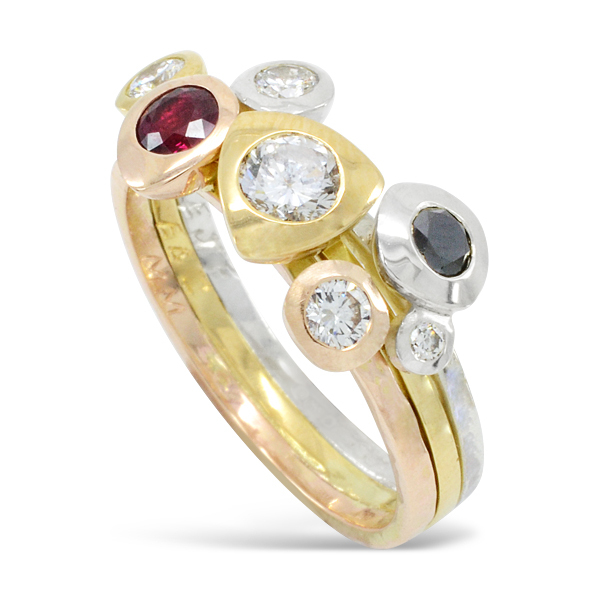 Modern rose or red golds tend to have a stronger colour than their vintage counterpart alloys. 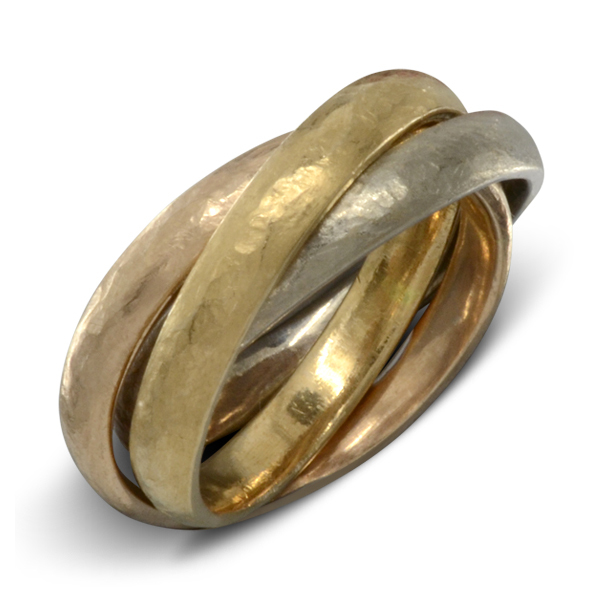 Some of the softer tones in the jewellery pictured has been obtained by reusing a clients own gold or making up our own colour from recycled gold. 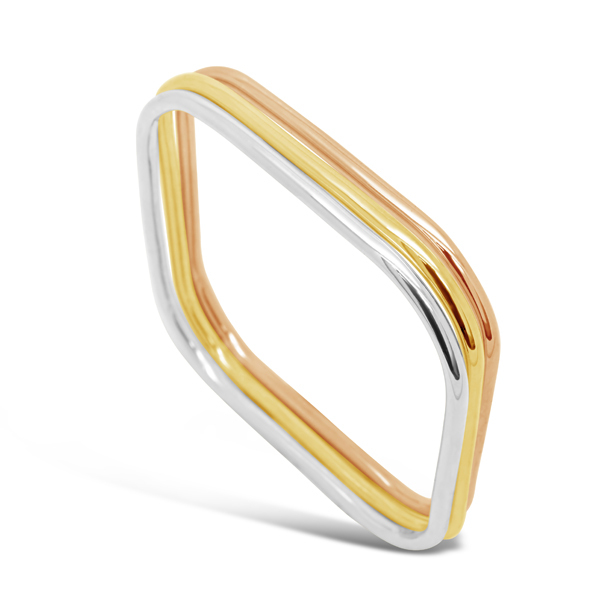 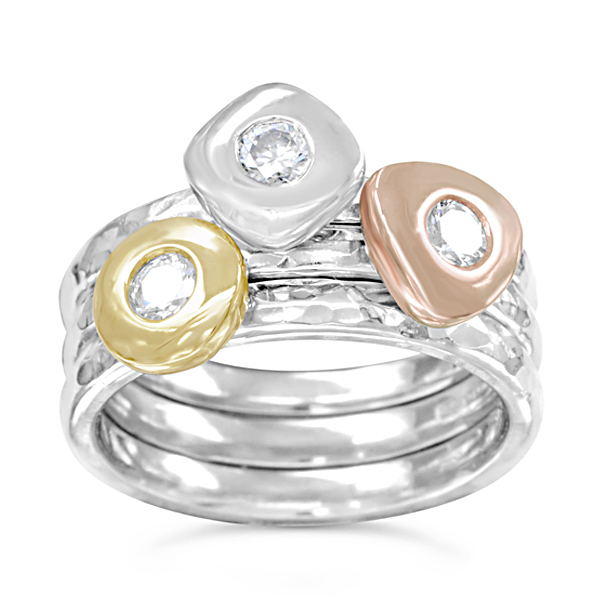 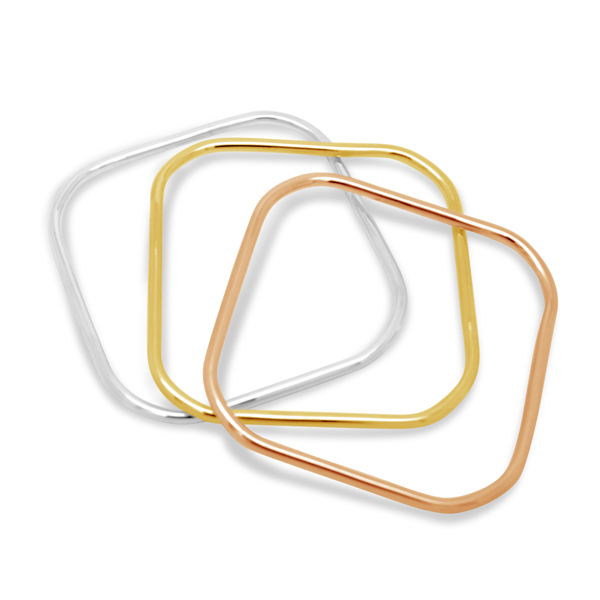 Having spent years working primarily in the white precious metals: platinum 9ct and 18ct white gold, palladium and silver, it is lovely to broaden our colour palette. 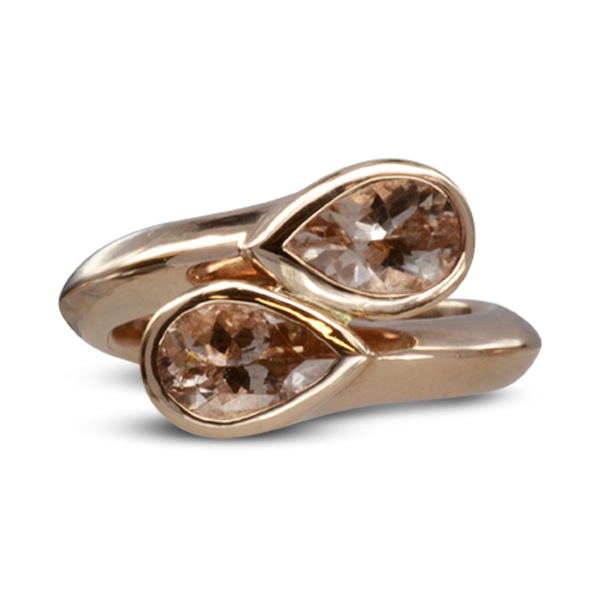 Here are some recent commissions that incorporate rose gold which comes in both 9ct and 18ct qualities. 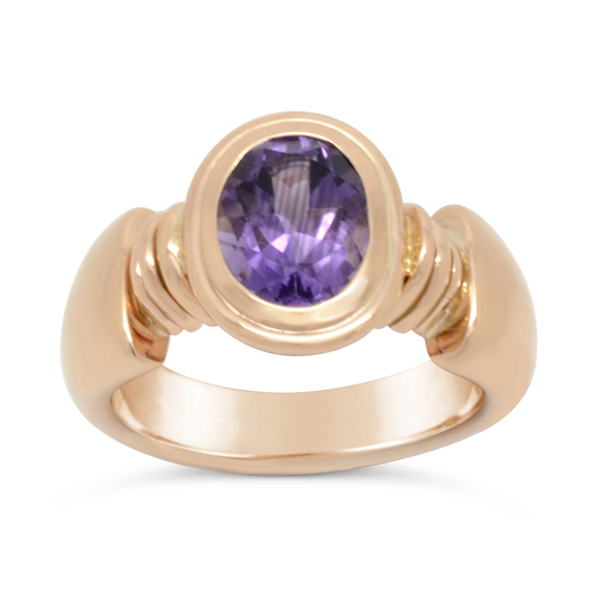 You’ll notice how the rose gold works really well with morganite, paribas blue tourmaline ruby and amethyst. 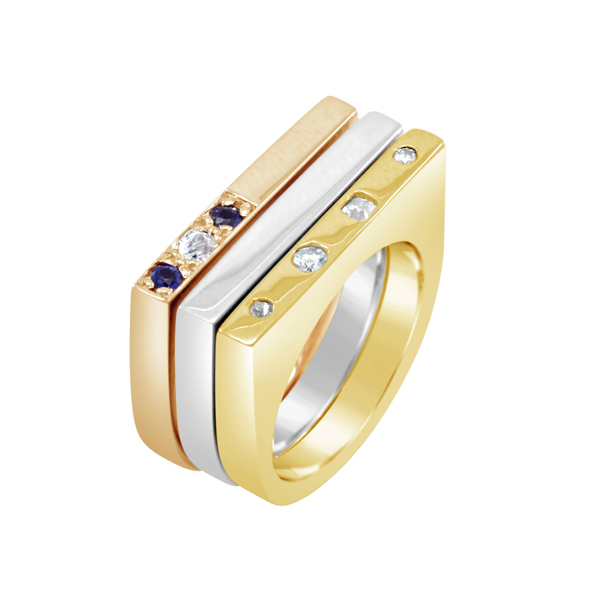 It’s also fun to mix it up with white and yellow golds. 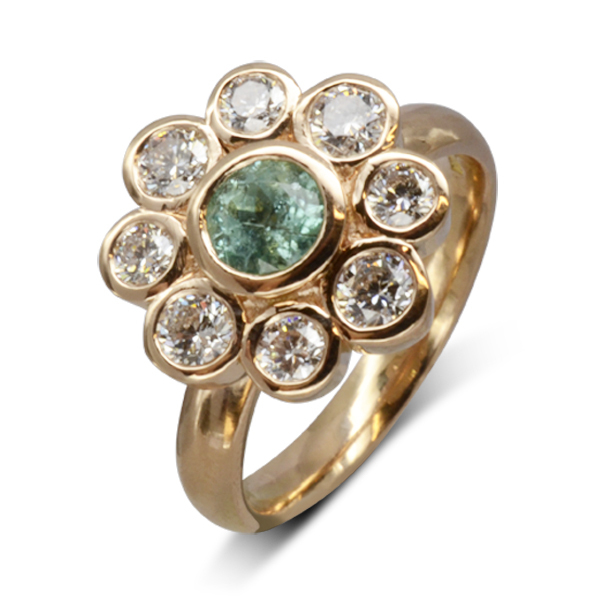 These were all handmade bespoke rings especially commissioned from our Ditchling workshops. 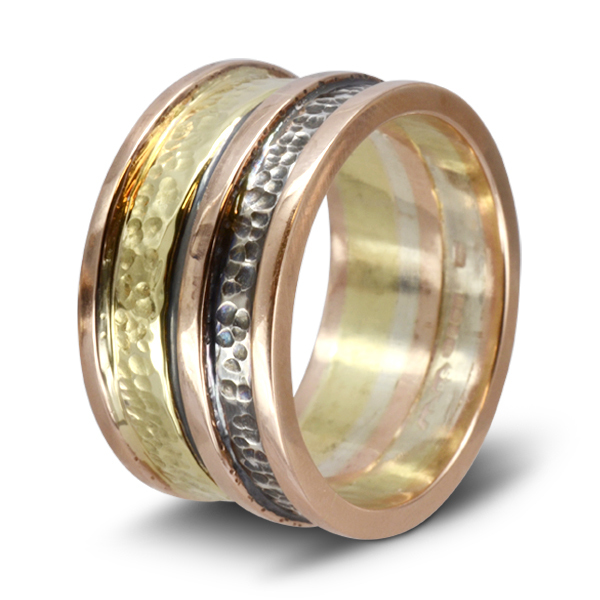 Each one expresses the unique style of the wearer. 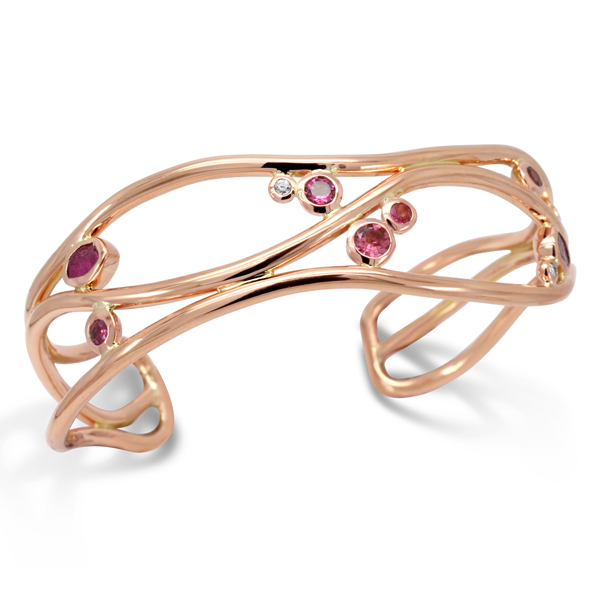 Stunning on it’s own and set with rubies and diamonds, these rose gold bangles and made to fit wedding bands compliment your existing white gold jewellery. 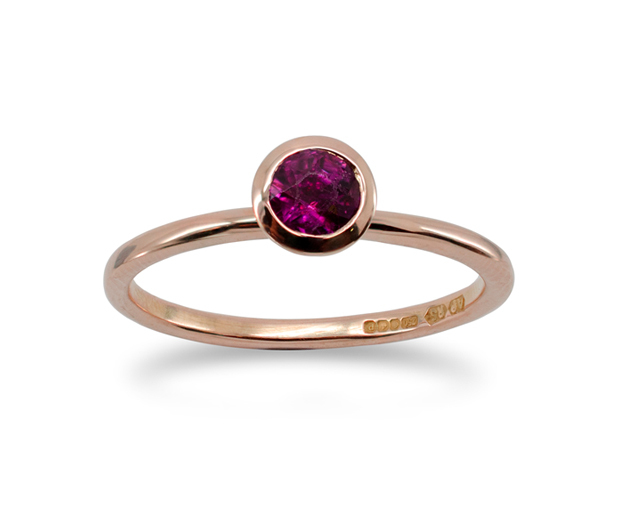 Add a touch of pink to your dress rings or engagement ring, we love these vibrant combinations! 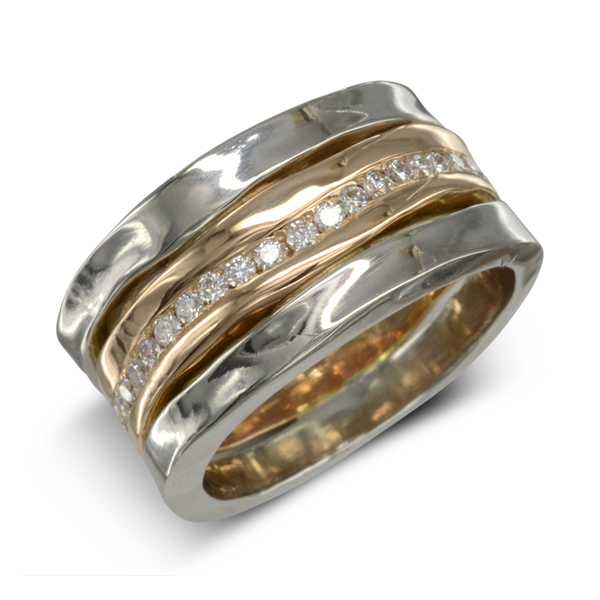 Contact our designer today on 01273 846338 for your free jewellery design consultation.